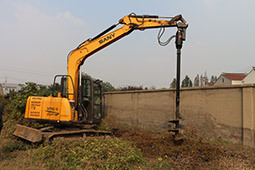 Earth Auger, Quick hitch, Hydraulic shear/Crusher, Hydraulic Breaker, Pile breaker – Changzhou Raymond International Trading Co.,LTD. Suitable Excavator Weight: 9~100 T.
Range of Pile Diameter: 300mm-2000mm. Suitable Excavator Weight: 1~80 T.
Suitable Excavator Weight: 0.7~86 T.
Suitable Excavator Weight: 18~50 T.
[Vibro ripper] How to operate vibro ripper ? Changzhou RAYMOND International Trading Co.,Ltd is our export platform, not just pure trading company. We have own factory to ensure the products quality and our own trading company supply perfect service to our all customers. Changzhou Rayattachments is a real professional manufacturer which was found in 2002 has a lot of experience in construction machinery attachments producing and serving. To help you expand your business and solve your problems are our mission.